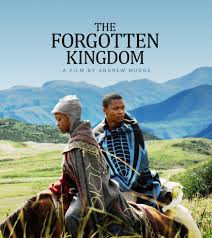 M-Net Movies Zone, DStv Channel 139 will show The Forgotten Kingdom on August 30 at 17h39. The drama romance was directed in 2013 by Andrew Mudge and stars Zenzo Ngqobe, Nozipho Nkelemba and Lebohang Ntsane. Lesotho is a country of haunting beauty. Many of its rural communities remain untainted by materialism. This is the setting of a moving story of a young man’s return to his past, and a rediscovery of his ancestral mores and values.